Last fall, 47 households in Douglas County participated in a group purchase of ductless heat pumps that was sponsored by Douglas County Smart Energy. Depending on the circumstances of the home, the ductless heat pump can reduce electricity use by 50 to 75 percent compared to electric resistance heating. The ductless heat pump improves upon the highly efficient heat pump by incorporating “inverter” technology. An inverter allows the compressor and fan(s) of the ductless heat pump to run at just the speed needed to keep the home at the thermostat’s set point. The benefits of this slow but steady operation are more even temperature control, less cycling on and off, quieter operation and much lower energy consumption. Recently, inverter technology has been incorporated in residential refrigerators for the same reasons as for ductless heat pumps — steady, quiet operation and much lower energy consumption. Although today’s refrigerators have more capacity, on average they use about one quarter of the electricity of a standard refrigerator of 1972 vintage. At residential electricity rates in Douglas County that higher efficiency translates into a savings of $.31 per day ($113 per year) versus a 1972 model. In recent years, inverter technology has been a primary driver of refrigerator efficiency. Is it time for you to upgrade to an inverter driven refrigerator for every day energy savings? Daikin is a leading manufacturer of the ductless heat pump technology and the one chosen for the group purchase offering for Douglas County. Daikin also manufactures inverter compressors for large businesses. Last month I had the opportunity to start up a new air conditioning plant for Kalispell Regional Medical Center in Kalispell, Montana. Powered by two 500-ton Daikin chillers, the new plant provides air conditioning at approximately one third less power than the original plant that was state-of-the-art in the year 2000. Advances in technology continue to offer improvements in energy efficiency. This creates jobs, is good for the environment, and good for your wallet. Douglas County Smart Energy is a project of Douglas County Global Warming Coalition. For more information on energy efficiency and renewable energy, visit dcsmartenergy.org. 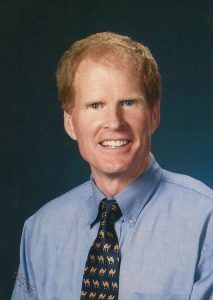 Jim Stelson is a mechanical engineer, consultant for energy and water management in hospitals, and a resident of Douglas County since 2000.